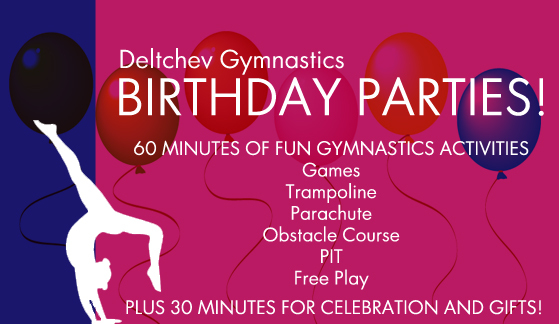 Deltchev Gymnastics Academy provides quality instruction for the recreational gymnast, as well as for those wishing to pursue competition. Classes are arranged by age and ability, to provide a fun and positive learning experience. Our Star Skill Program has been implemented in the recreational program. The kids have been earning stars and moving up skill levels and just love the incentives and rewards that the Star Skill Program offers. Deltchev Gymnastics runs on a 4 week schedule. Payment is due prior to the first day of the first week of each session (indicated in red).